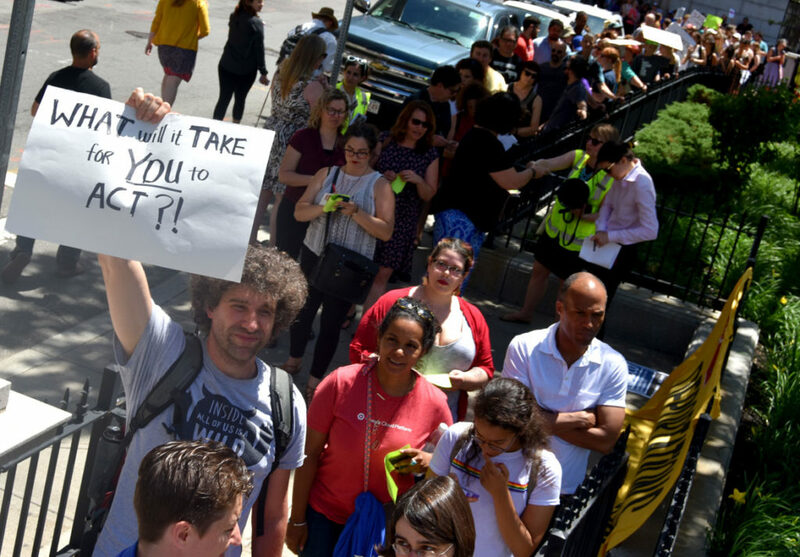 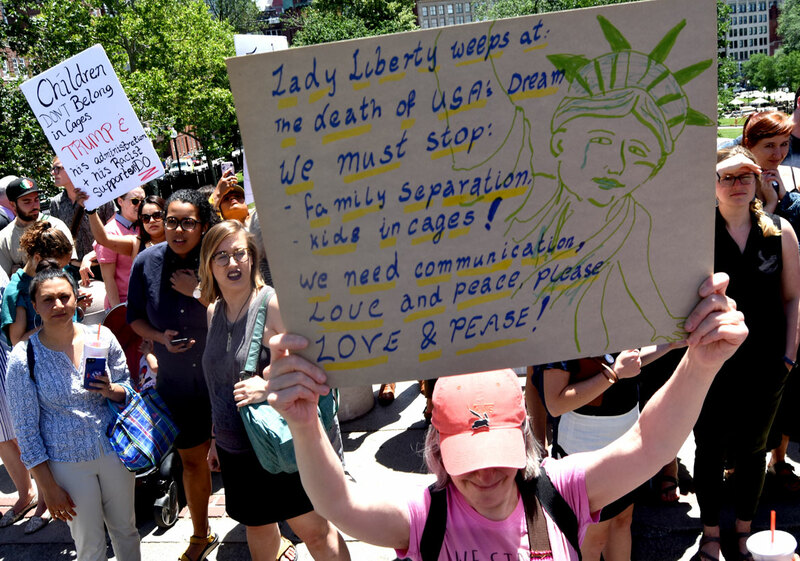 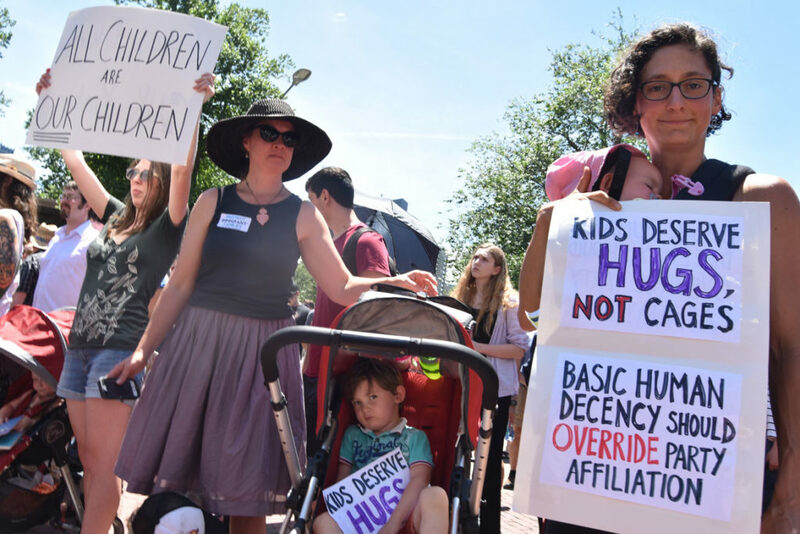 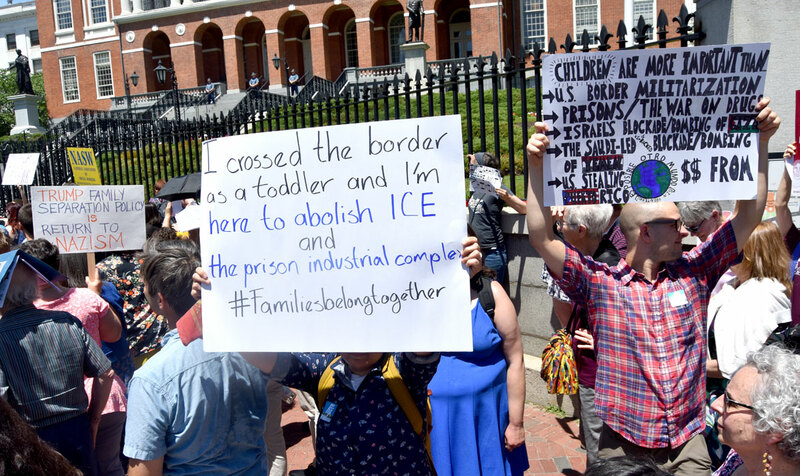 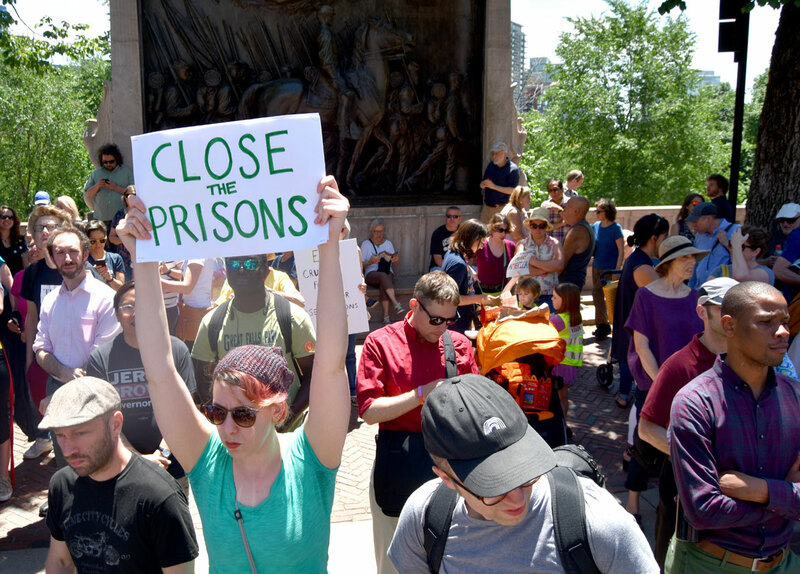 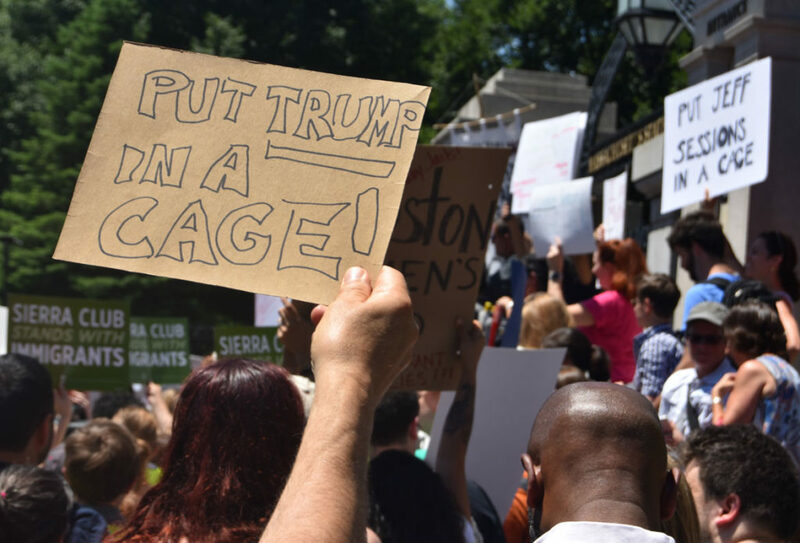 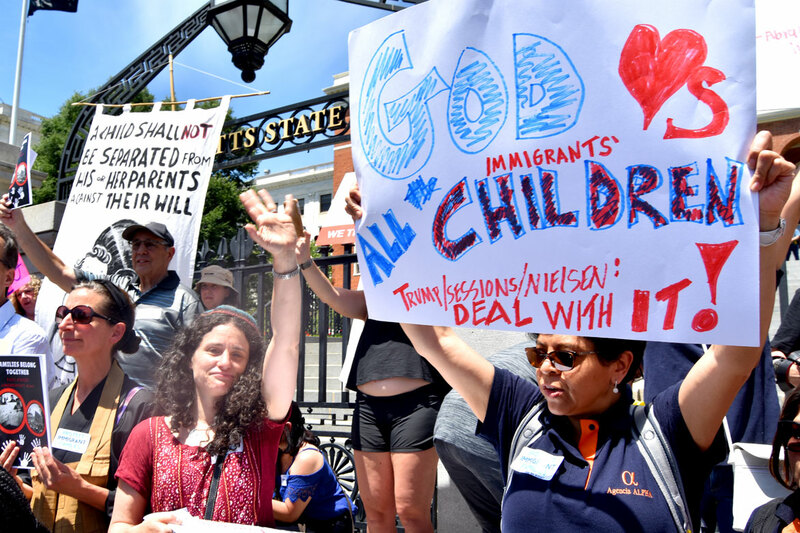 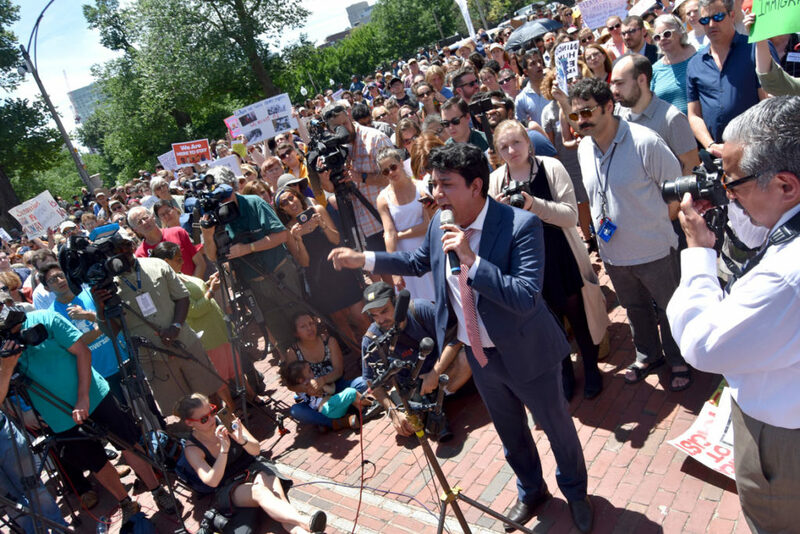 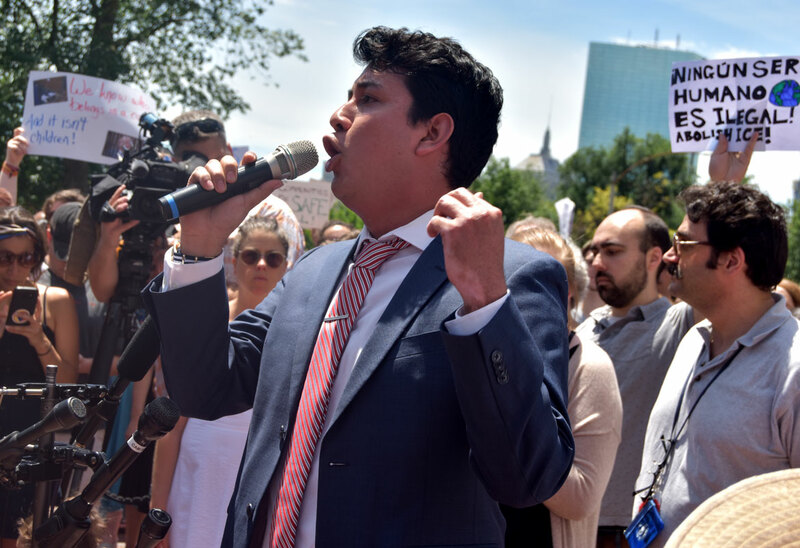 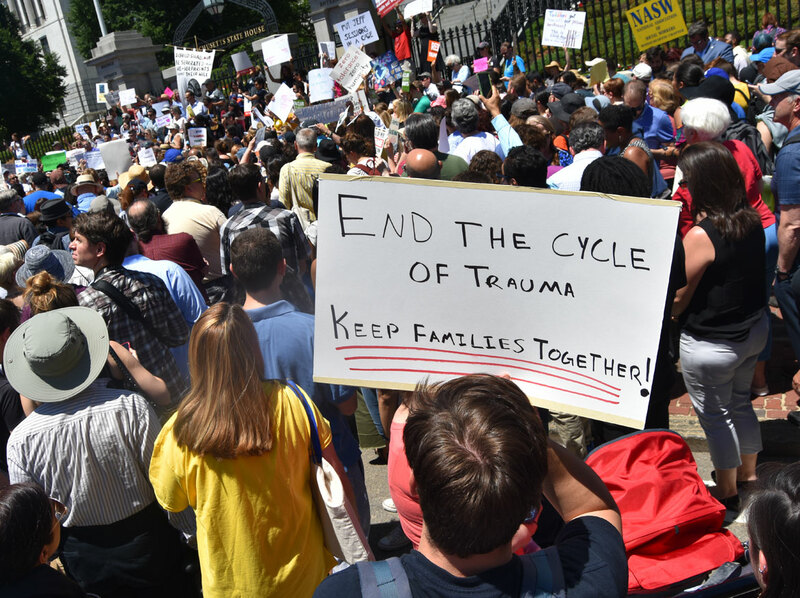 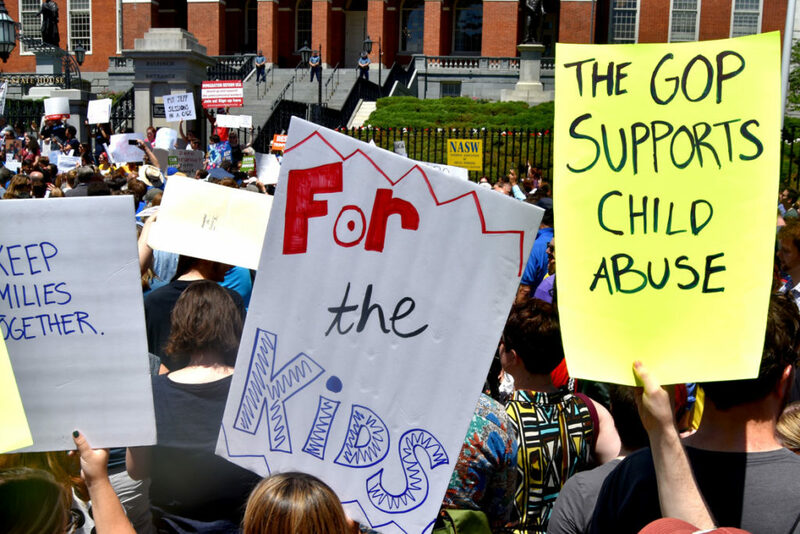 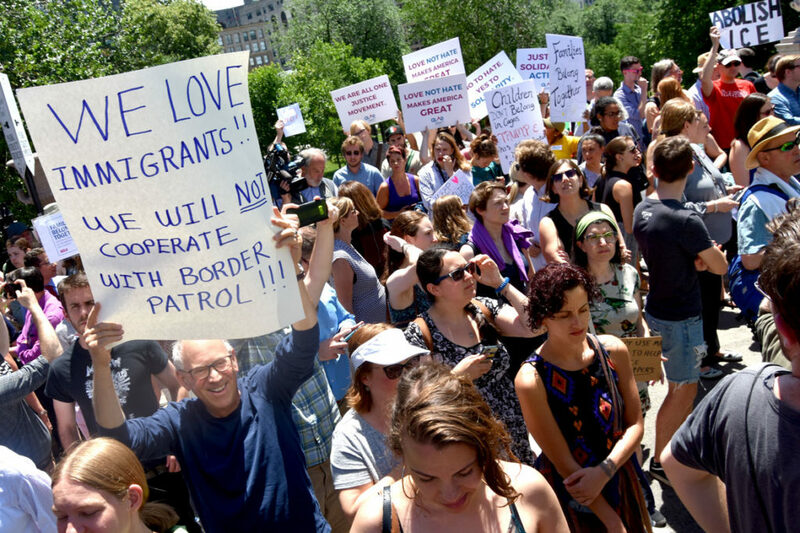 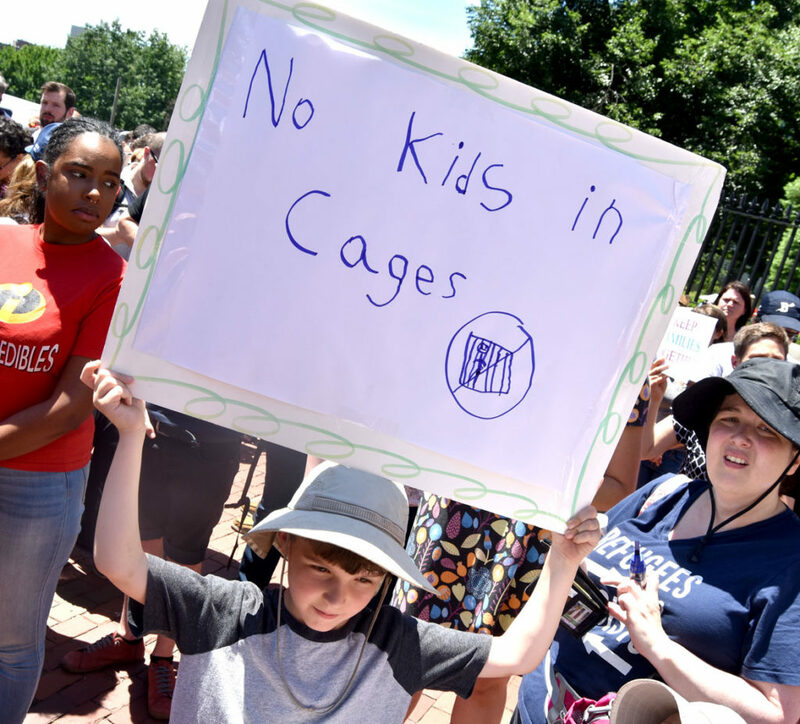 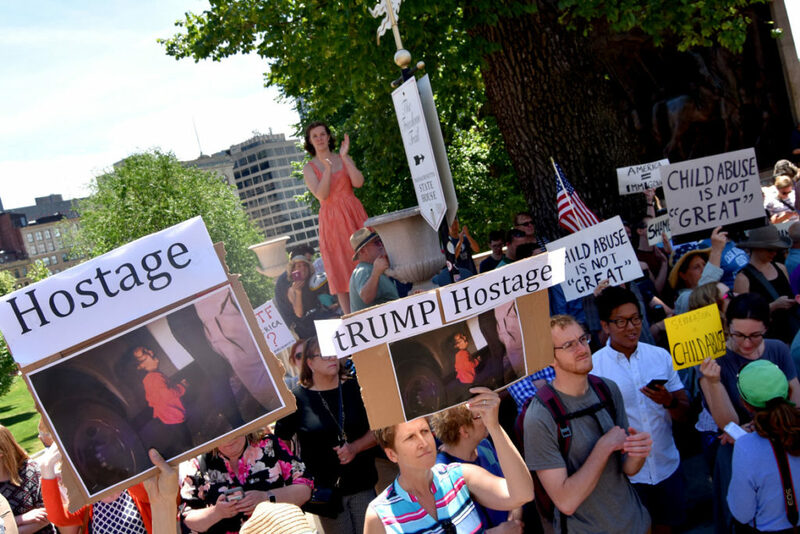 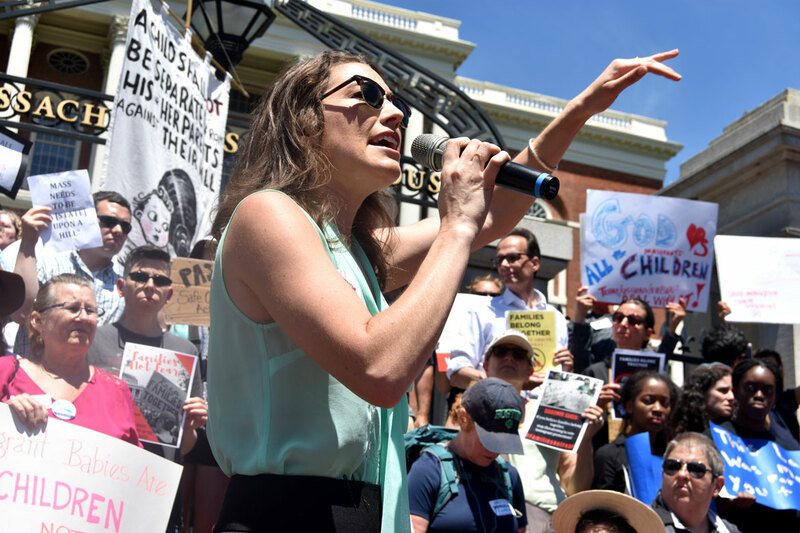 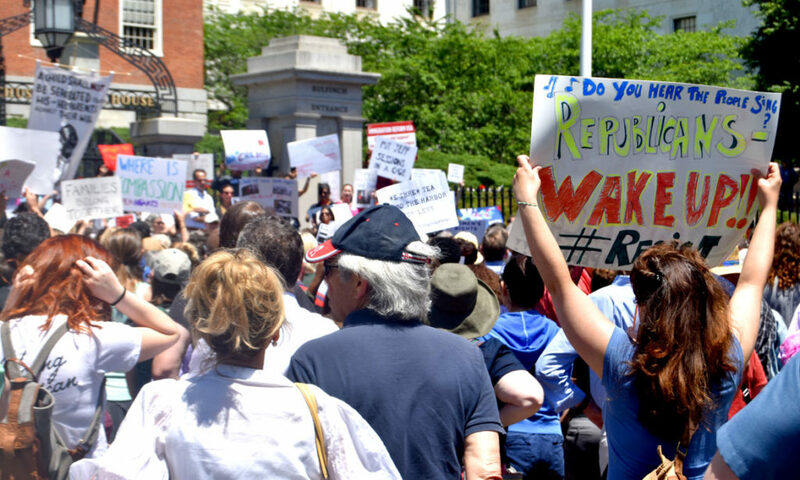 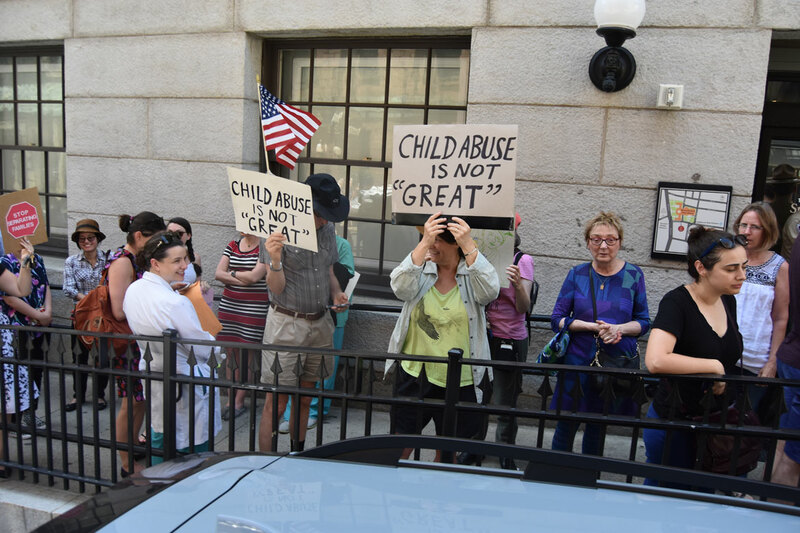 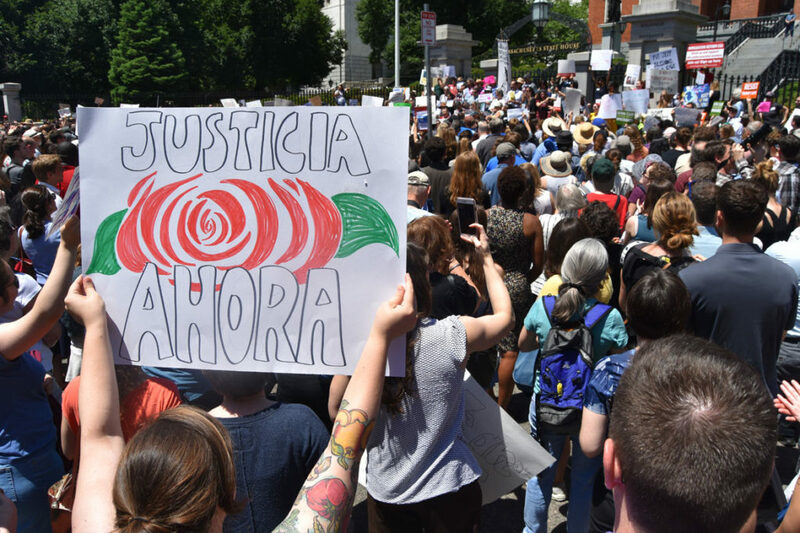 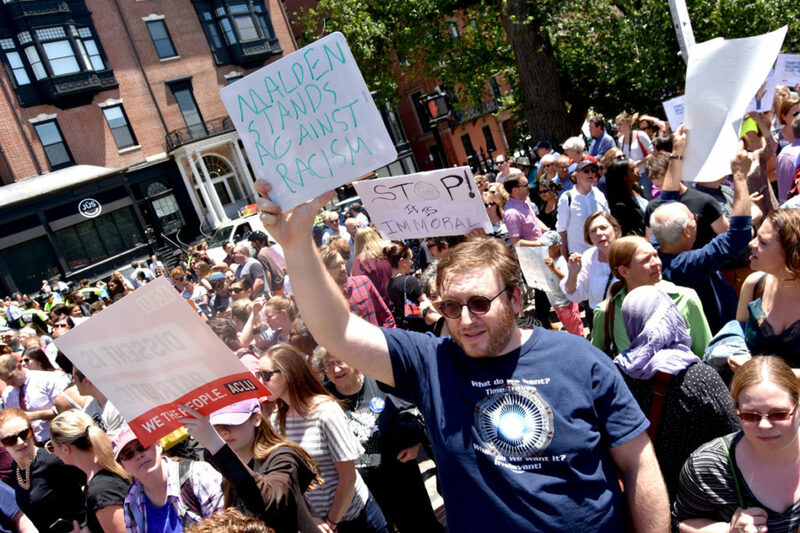 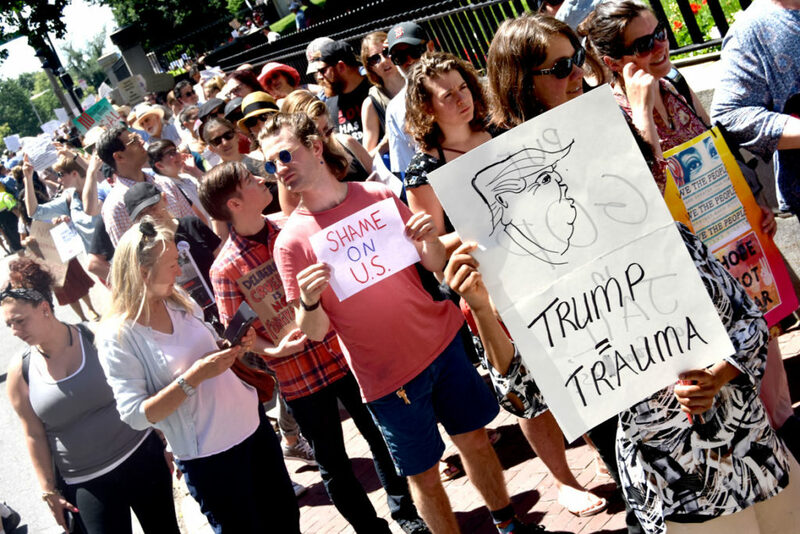 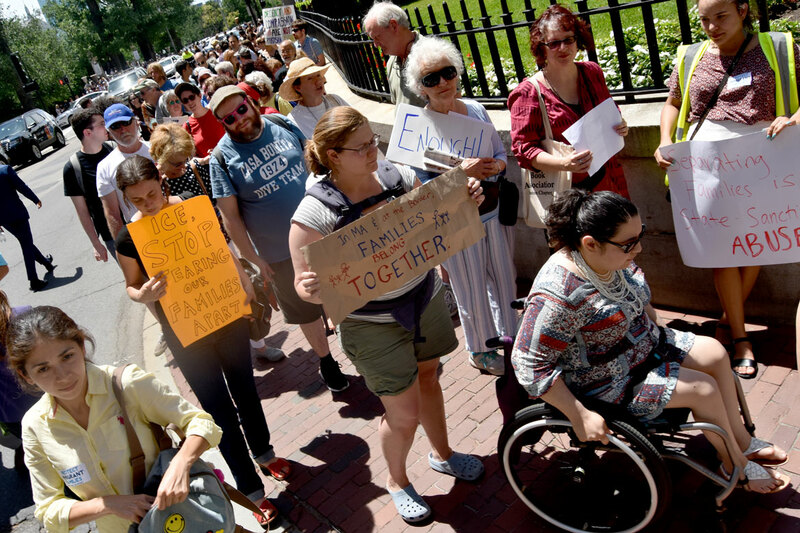 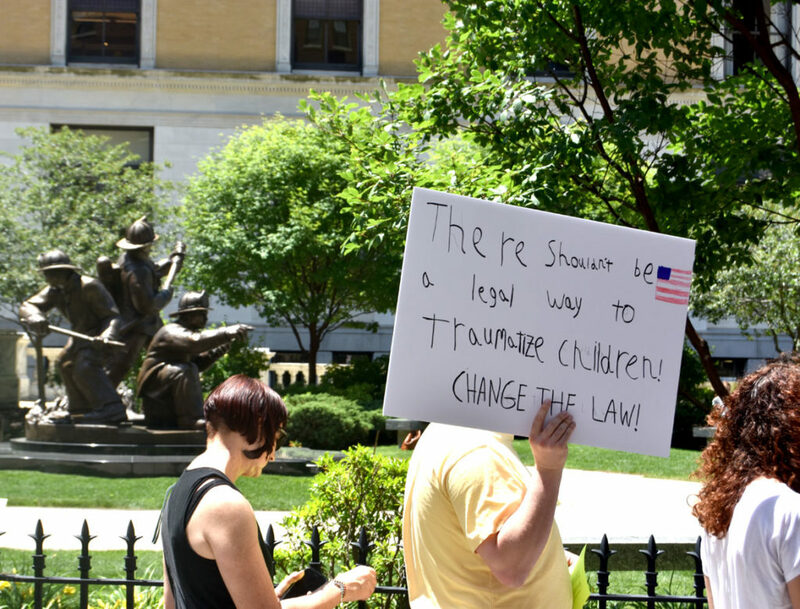 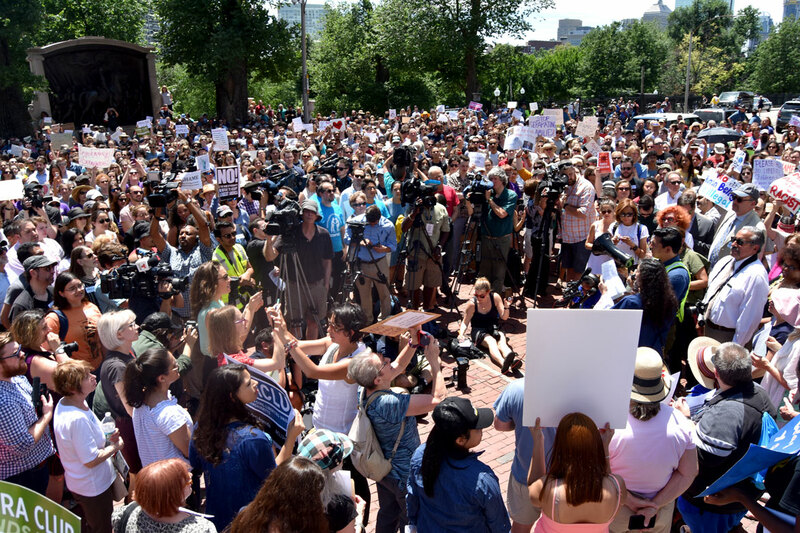 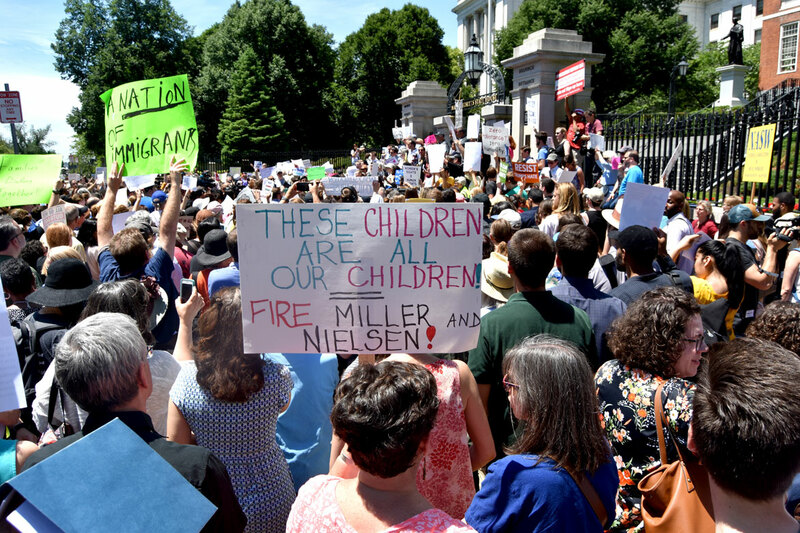 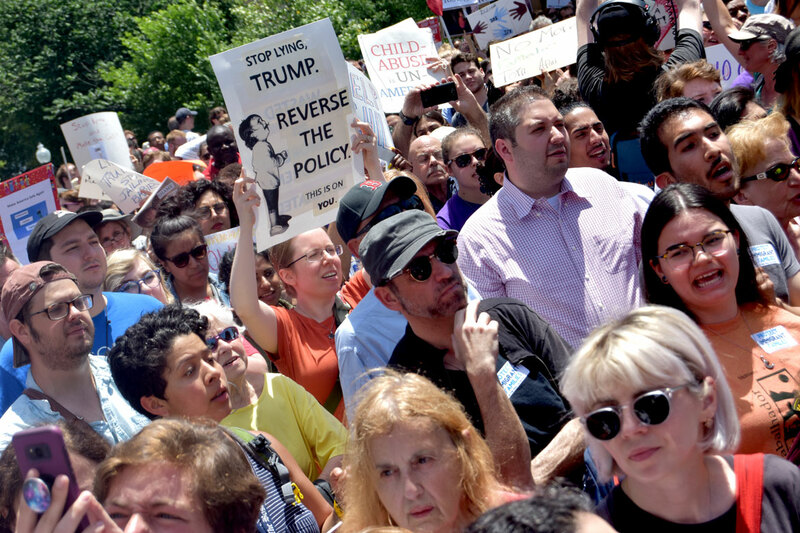 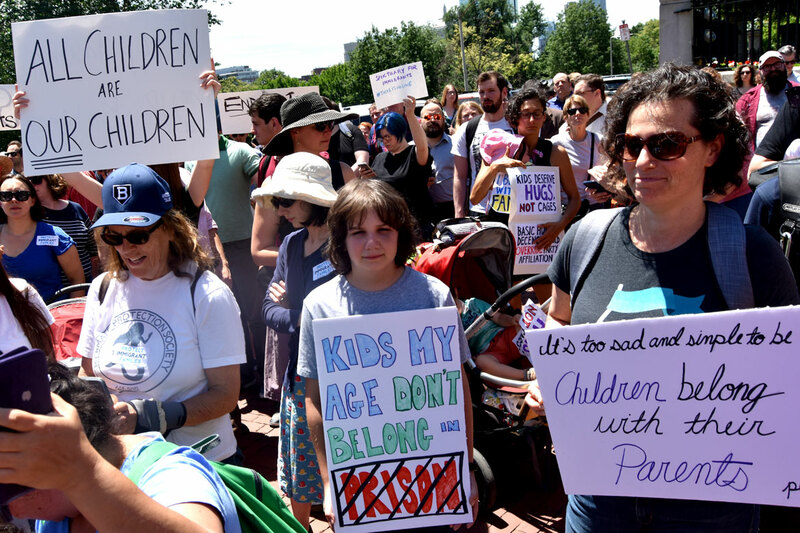 A “State House Action To Protect Immigrant Families In Massachusetts” attracted thousands of people to the Massachusetts State House in Boston at noon today to protest the Trump Administration’s policy of splitting up undocumented immigrant families at the U.S. border and placing children alone in prison camps. 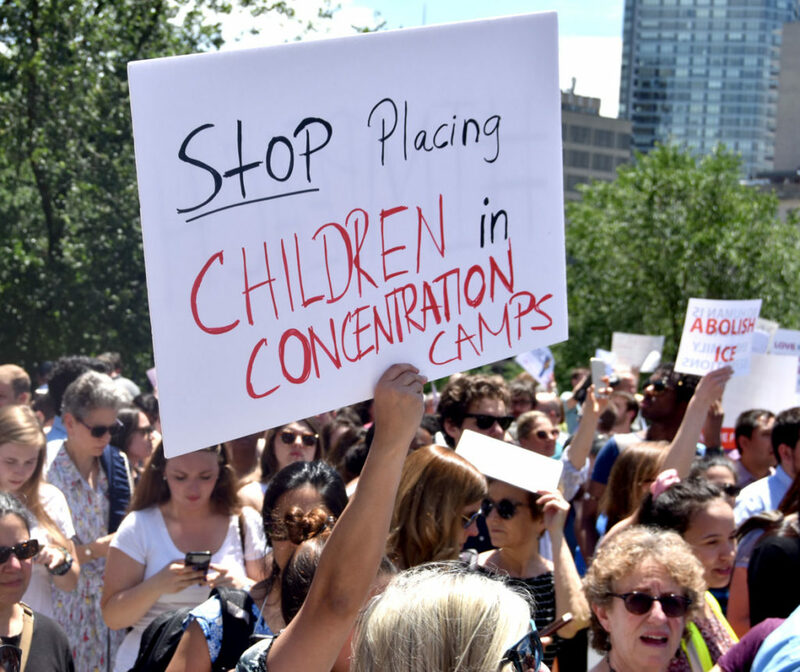 “Stop Trump’s child concentration camps,” state Rep. Michelle DuBois of Brockton told the crowd. 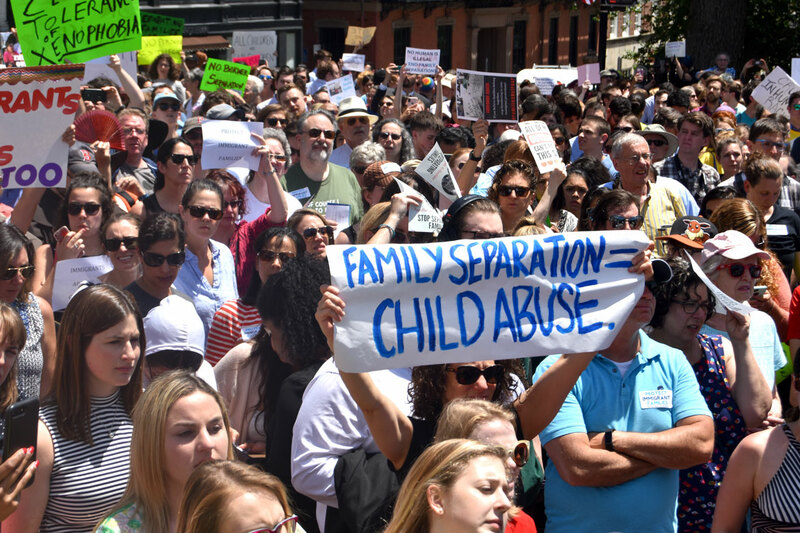 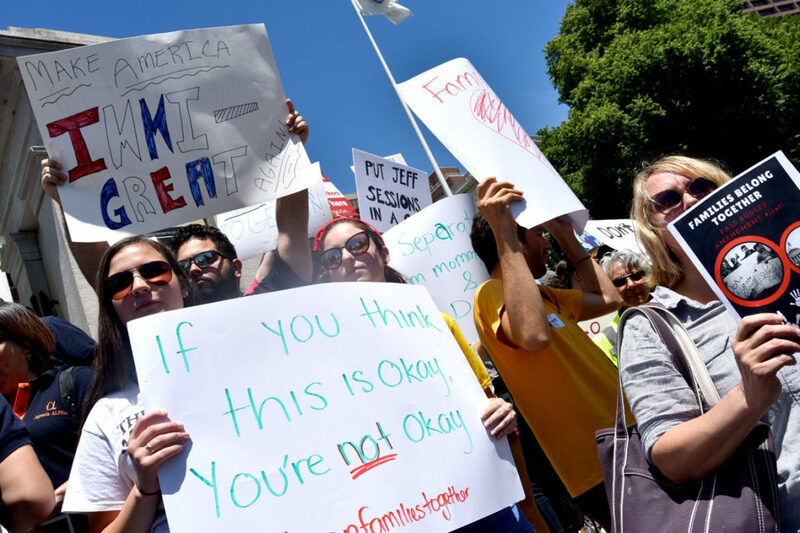 The action was part of pressure from across the country that caused Trump to today sign an executive order halting his policy of separating children from their parents when they are imprisoned for crossing the boarder in alleged violation of U.S. law. 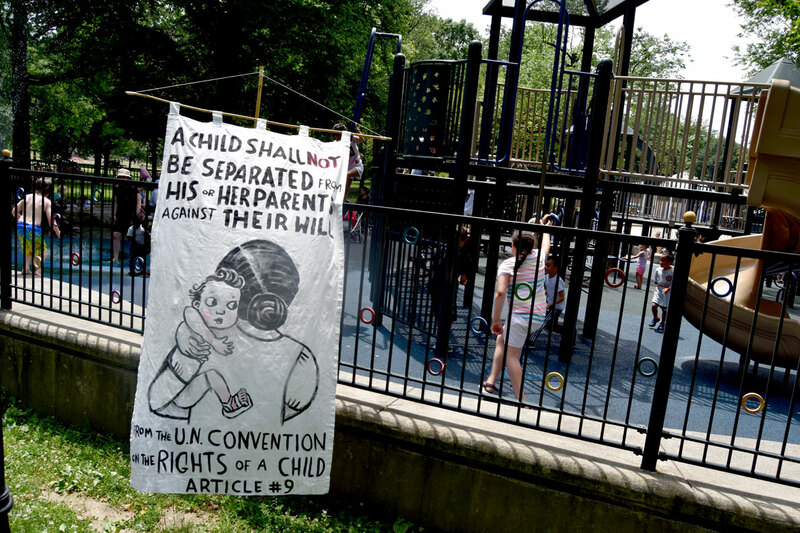 Though how much this will actually change things is not clear—some reports suggest the order allows indefinite imprisonment of children, which would be a violation of 1997 consent decree, perhaps causing courts to overturn the order. 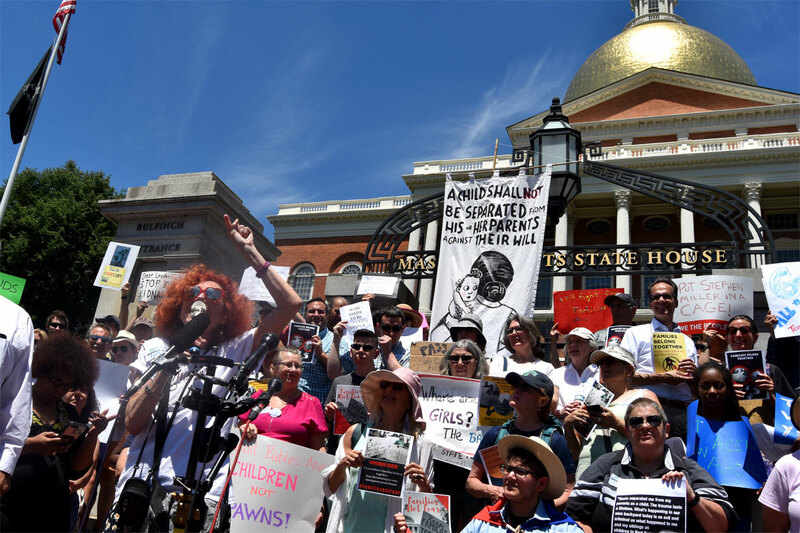 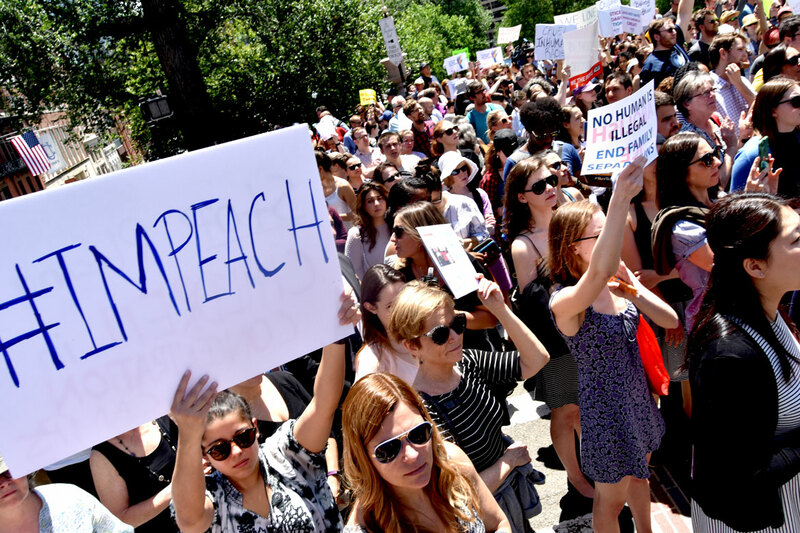 After the speakers, hundreds of people proceeded into the State House to demand that state legislators do something to stop the Trump administration. 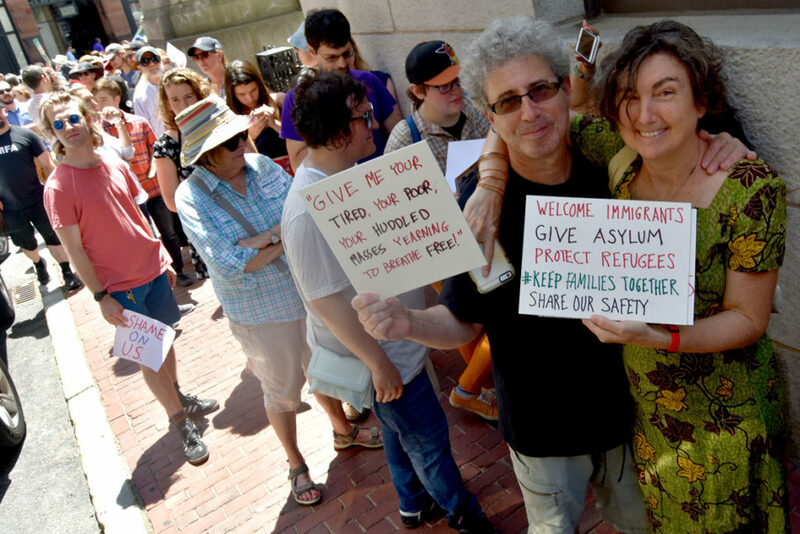 All photos copyright Greg Cook.